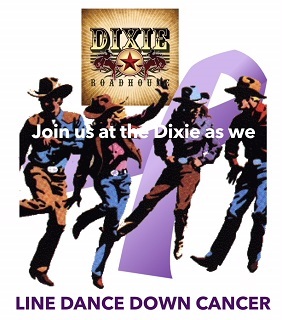 Join us as we Line Dance Down Cancer and raise funds to support cancer awareness, education and patient financial assistance is SWFL. All ages welcome – Early Bird registration available using code LDDC5. Save $5 off adult ticket price of $20 or child ticket price of $10ticket when purchased before July 25th. Children under 5 are free. Prizes – 50/50 drawing – Chance drawing for wonderful prizes (must be present to win). Music by: Just Thomas and DJ Steve. Sponsorship available (includes guest passes).